CertainLife.co.uk - Making it easy to find the right cover for the right price with the help of friendly, informative advice - no call centres - direct access to qualified advisers. Life Insurance can provide financial support for your family if you die, critical illness cover and income protection will provide for you and your family while you are still alive. When it comes to protecting your family and income, if you think it's important don't put if off! Do it today! Once it's done it's one less thing to worry about - and we have access to advisers just waiting to help you. The whole process could take less than 1 hour and cover is often immediate. 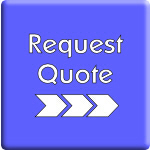 Our aim is to help you find the cover you need at a competitive price. If you are uncertain how much cover you need or the type of cover you should have, get in touch, we have access to helpful friendly advisers across the UK. No upfront fees, no admin fees in fact - no fees at all! Also specialising in finding cover for people with medical conditions, family medical history or hazardous occupations. Regardless of whether you have a mortgage or not, protection in the form of Life Insurance, Critical Illness Cover, Permanent Health Insurance or Accident & Sickness cover, will always make sense. If you have children, there is no good argument against having some type of insurance if it's affordable and surprisingly, cover doesn't have to be expensive. If money was limitless, you would probably pay whatever you needed to protect your family, yes? Well, because money isn't limitless we aim to help you find cover for less than the price you would pay if you applied directly to any of the numerous insurance companies we have access to.